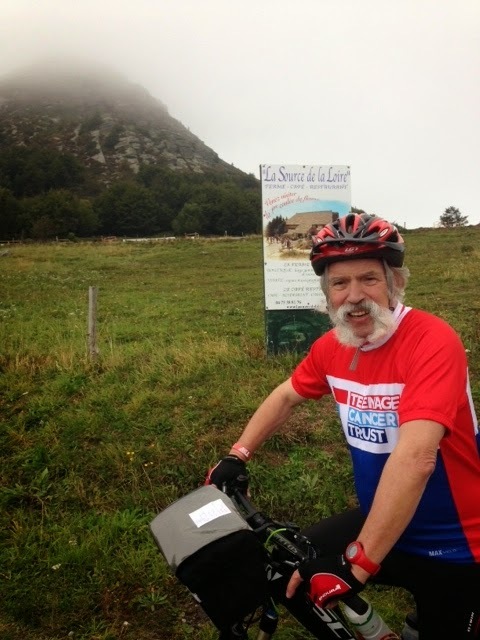 Jim's Loire: Day 1 cracked, but not the rider! Day 1 cracked, but not the rider! The view from our bedroom window this morning was most uninviting! Low cloud and blowing a gale. But Jim was not to be deterred! 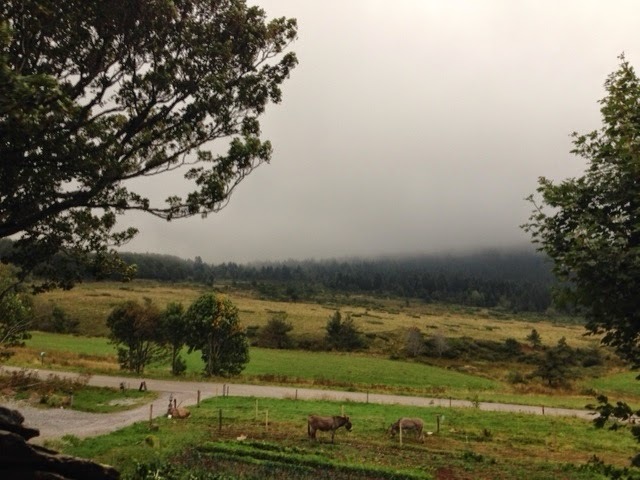 He disappeared into the mist up the hill towards La Source de La Loire. By the time I caught up with him at La Source it was already raining. But he bravely took off his rain jacket to show off his Teenage Cancer Trust cycle jersey. 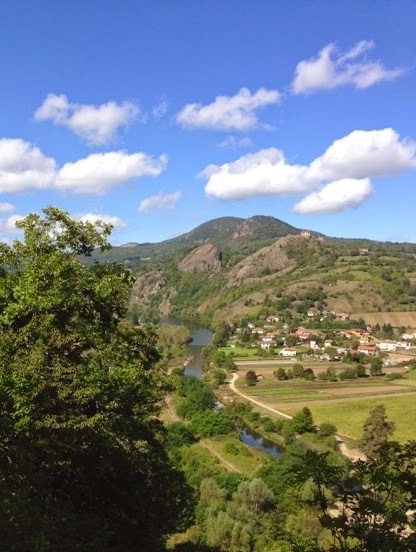 After the foul start to the day, the weather gradually improved and by the time I saw Jim again, in the Gorges de La Loire (me cycling in the opposite direction from the end of the stage) it was warm and sunny. A complete contrast! So day 1 to Retournac has been cracked relatively easily. Far from being cracked, Jim is in great form! All set for the next stage to Renaison tomorrow. The Ferme Equestre Les Revers is a lovely place to stay - comfortable and a beautiful and tranquil location above Retournac. 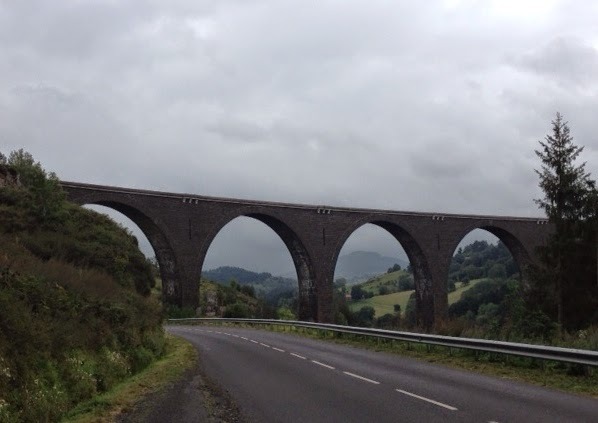 Only downside was the 6km uphill grind to get here from the bridge over the Loire. But definitely worth it! Here are the stages. If anyone is nearby, come and cheer him on! See the previous blog to find out how you can support Jim's efforts to raise funds for two cancer charities. Monsieur Loire fait La Loire! 2014 Bourgueillothérapie: the artists au boulot!